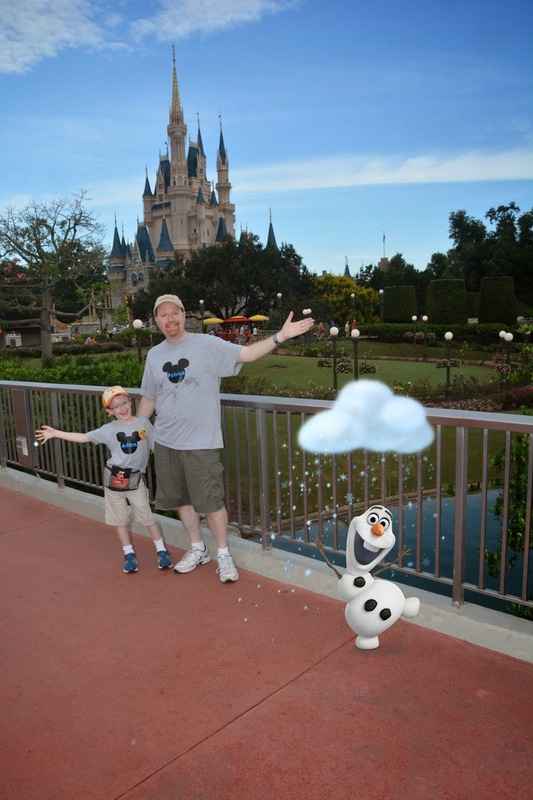 We hadn't really planned on going to DisneyWorld this year, but it kind of just came together. Because of my health problems, I didn't know if I would feel well enough to go until the week of the trip, and I knew if I went, I would need to rent an electric scooter and get a handicapped parking tag. 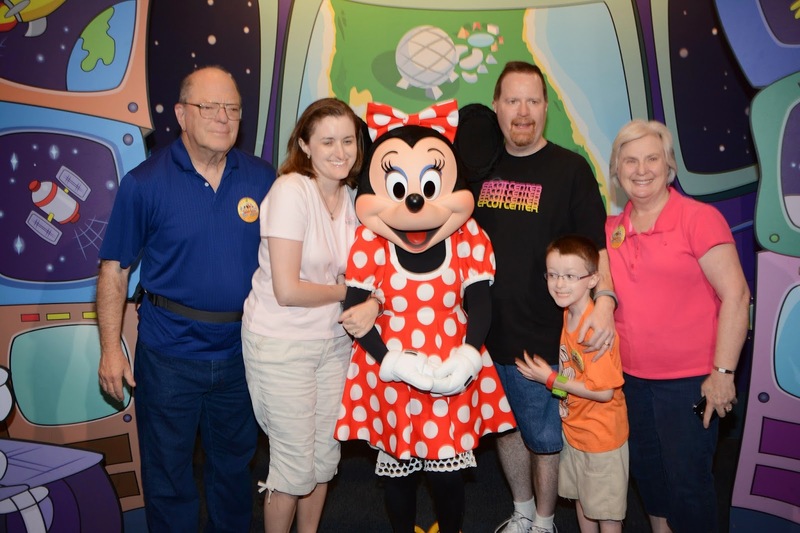 I swallowed my pride so I could be there for Adam's first DisneyWorld experience. We asked Patrick's parents to join us for the week so Patrick wouldn't be flying solo if I didn't feel well. I had a Botox treatment right before we left, and I felt better than I had anticipated. Being around the magic helped too. We usually stay on property to be "in the magic," but with our situation this time, we decided a vacation home would be better. We rented a condo from All-Star Vacation Homes which was just a few minutes from Disney property. It had three bedrooms, three bathrooms, a full kitchen, and a private swimming pool. Adam's room was even Mickey-themed. It was great to pull up to our own parking space right at the front door at the end of the day. Yes, we had to pay for parking at WDW, but we saved way more than that by eating several meals at the condo. The only real downside was that we didn't have an alternative transportation option if we wanted to split up. On the first day, we drove to Winter Garden to go to Legoland. For a six-year-old obsessed with Legos, it is amazing. It is on the old Cypress Gardens site, and the gardens have been preserved. The park is well done, but not well laid-out. For us, the differences between it and a Disney park and quite noticeable, but I don't think six-year-old boy really appreciate those things. It was a good place for me to get used to navigating the scooter. The next day (Monday, October 7), Patrick's parents took Adam to the Orlando Science Center while we went to Magic Kingdom and Epcot on our own. They got in for free with our membership to Nashville's Adventure Science Center. Adam loves science and gave OSC a glowing review. On Tuesday, we planned for me to have a rest day and for the rest of the gang to go to Epcot. I wasn't feeling great when I woke up that morning, but I started thinking about Adam riding Soarin' for the first time and decided I had to be there for that. Thanks to the scooter and effective medications, I made it, and I'm so glad I did. I think Adam could have spent a week at Epcot. It has a reputation for being a "grown-up" park, but for our little science nut, it was great. 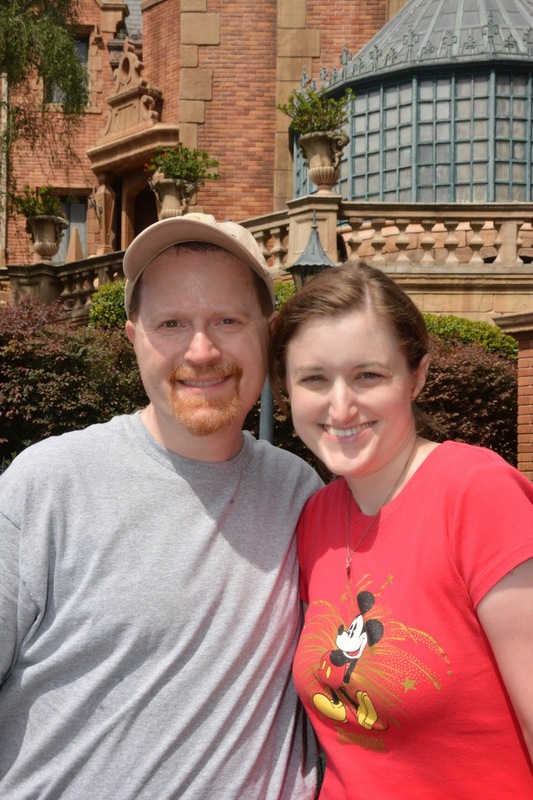 He also did Agent P's World Showcase Adventure that evening and really enjoyed it. We did Magic Kingdom on our last day. We didn't get to see as much as I had hoped because we were tired and it was hot, but we still got to do some fun things. Seven Dwarfs Mine Train is the newest attraction, and it is so well done. I love that they have taken Walt Disney's first animated feature and made a headliner attraction for it. Elsa may get all the glory right now, but Snow White was here first. The ride video makes Memory Maker so worth it. I always tell people you can't do it all at Disney, and hopefully we will get to go again someday when Adam is older and experience more of it. very nice and interesting blog. I've also planned going to Disney World this year. I've also rented a condo but from phpremierecondohotel.com. Hopefully it will be such a wonderful trip as yours.